If it’s that time of the year when your iPad contract is coming up for renewal, then perhaps the upcoming iPad mini is something you may want to add to your gadget collection. 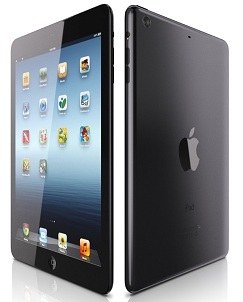 The first question you may ask yourself is why would Apple release the iPad Mini? It’s not as if Apple aren’t dominating the tablet market already. Reports suggest that Apple iPad sales are still making up over 50% of the US market and when you consider the competition from Android, such as the Google Nexus 7, and the Samsung Galaxy Note, it’s very impressive that they’re still ahead of the rest combined. However, it’s not quite so impressive when you consider that in 2011 the iPad accounted for nearly 80% of all US tablet sales and this is probably why Apple have designed the new iPad Mini. So we have put together a few reasons why users who are considering changing their allegiances may opt for the latest Apple product. 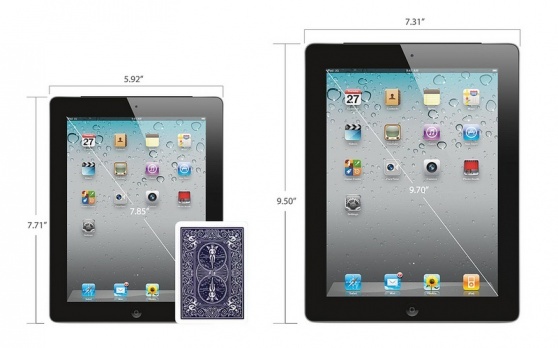 Cheaper: What the iPad Mini will do is provide an option for cheaper tablets. Some people just can’t afford the outlay for an iPad and with Samsung and Google, as well as others now offering good reliable products at a fraction of the cost, Apple needs a product that can bring in the budget buyers. It’s likely that the new iPad mini will come in at a price that is at least closer to the Nexus, if not as cheap, and this will attract more buyers. Gaming: The second reason people sometimes opt for other tablets is gaming. Many gamers report that the Samsung Galaxy Note 7” is the ideal size for playing games on. The screen is big enough to still provide an immersive experience, whilst small enough to play lying down without your arms getting sore quickly. A screen that is around 7” is comfortable and often easier to control games on and as such, we have a section of the market that Apple is currently not utilising to its full extent. Add to this the breath-taking Retina screen and you have a great portable gaming platform on a tablet. Portability: If you are opting for one of the smaller tablets for portability purposes then Apple may have solved that problem too. A much smaller device that fits in your bag may be just what you need for work purposes. The iOS operating System: iOS is probably still the safest operating system around. If you now have a tablet that gives you piece of mind, whilst fulfilling the rest of your needs, then there’s another ideal reason to be purchasing the latest addition to the Apple range. There are over 600,000 Apple apps available and with the rapid rise of malware infected Android apps, the App Store is still the place to go if you want to download safe apps. Synchronisation: One of Apple’s key selling points when they release a new product is synchronisation. If you already own an Apple product, it’s great to know that the new one can synch with the rest of your Apple devices. 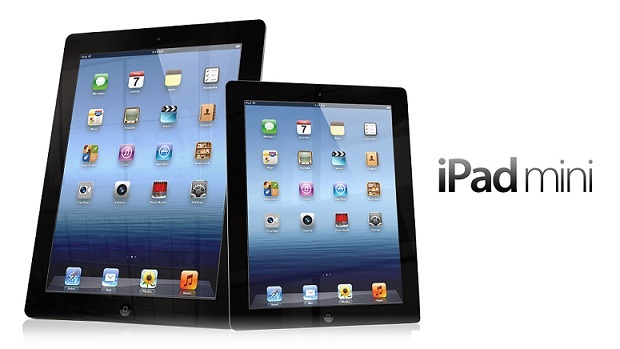 The bottom line is that many tablet users trust Apple and unless forced, won’t be abandoning them any time soon. There are users who just don’t like Apple, but they are in the minority. As long as Apple continue to provide products that are sleek, stylish and ahead of the game, they look likely to be dominating for the foreseeable future. This entry was posted in Reviews and tagged Apple, iPad. Bookmark the permalink. Should You Buy A Matte Screen Guard or A Glossy Screen Guard?